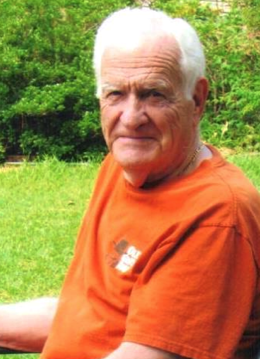 Forrest Gilbert Carpenter, 89, of Roanoke Rapids, NC died Friday, January 25, 2019, at his home with family and friends at his bedside. Mr. Carpenter was born in Roanoke Rapids, the son of the late Rupert Otis Carpenter, Sr. and Carrie Rebecca Chambliss Carpenter. He served his country in the U. S. Air Force, during the Korean Conflict and was a retired Lieutenant, with the Roanoke Rapids Fire Department. For over sixty years he helped serve families in the Roanoke Valley, with Wrenn Clarke & Hagan Funeral Home. Surviving are: his daughter, Jeanne C. Mills, of Roanoke Rapids, NC; grandchildren, Forrest and Cynthia Mills, of Roanoke Rapids, NC; several nieces, nephews and cousins; and special friends, Donald and Becky Malcolm, John Vick, Virginia Cribb, all of Roanoke Rapids, NC. The family will receive at Wrenn Clarke & Hagan Funeral and Cremation Service, Tuesday, January 29, 2019, from 7:00 to 8:30 PM. Funeral services will be held in the funeral home chapel, on Wednesday, January 30, 2019, at 2:00 PM, with Pastors Chris Howerton and Donald Gregory, officiating. Interment will follow in Cedarwood Cemetery, Roanoke Rapids, NC, with Fire Department Honors.